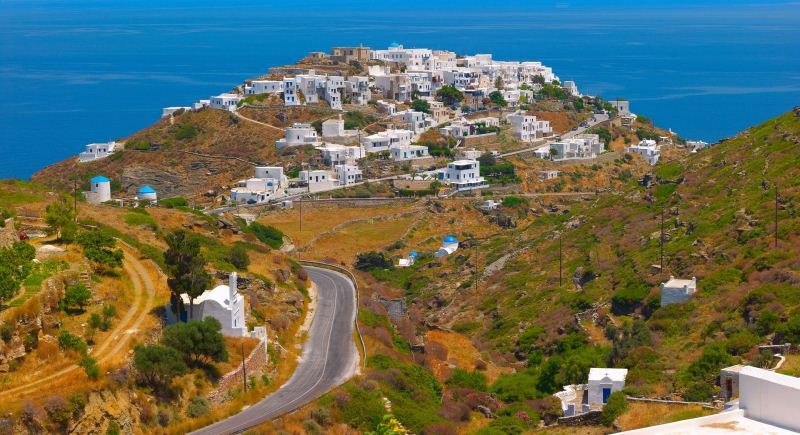 A list of the prettiest places in Greece ranges from the mystical ancient ruins of Poseidon Temple to the sandy beaches of magnificent Greek islands to the romantic charm of stonewalled small towns Metsovo and Mystras. Greece is a country of marvels that one can explore for months, but some of the most notable places to visit definitely should be on your next vacation destinations list. One of the most popular as well as prettiest places to visit in Greece, Cape Sounion is the location of the renowned Poseidon Temple. As befitting of one of the most powerful Ancient Greek gods, the temple has a magnificent view of the sea. Be sure to plan your trip so you can witness the sunset as it’s one of the most beautiful sights one can experience. The attraction is located only about 45 miles away from Athens. It’s a popular daytrip from Athens, so this adventure is best left for the low-season. In Greece it lasts from mid-October to mid-April. Of all the best Greek islands, Corfu is the ultimate holiday destination for families. Here you can enjoy relaxation to the fullest and many places are child-friendly. The entire place is quiet and geared toward enjoying the magnificence of nature. The few towns on the island do not detract from the lively beauty of its forests, beaches, and mountains. Browsing through Corfu travelers’ photos will allow you to understand why this is one of the prettiest places in Greece. When you tire of enjoying sandy beaches and the sea, you can explore some ancient ruins, not-so-ancient Casa Parlante, and admire local architecture. There is also a donkey rescue that will be a point of interest for kids. Despite its name, Hydra Island is not only one of the prettiest places in Greece. It’s one of the few destinations not overcrowded or outright ruined by the influx of tourist. The charm of the island attracts a multitude of celebrities, including some members of royal families. One of the most beloved patrons of Hydra was Leonard Cohen, and the locals still celebrate his memory every year. For a family traveler, Hydra is foremost a quiet place with a peaceful atmosphere and complete absence of cars. Here you can truly relax from the stress of city living. Not all prettiest places in Greece have sandy beaches and ancient ruins on the menu. In fact, for those who are more fond of winter vacations and points of interest usually overlooked by tourists, Metsovo would be perfect. Looks like something from the ‘dear ol’ England’, doesn’t it? 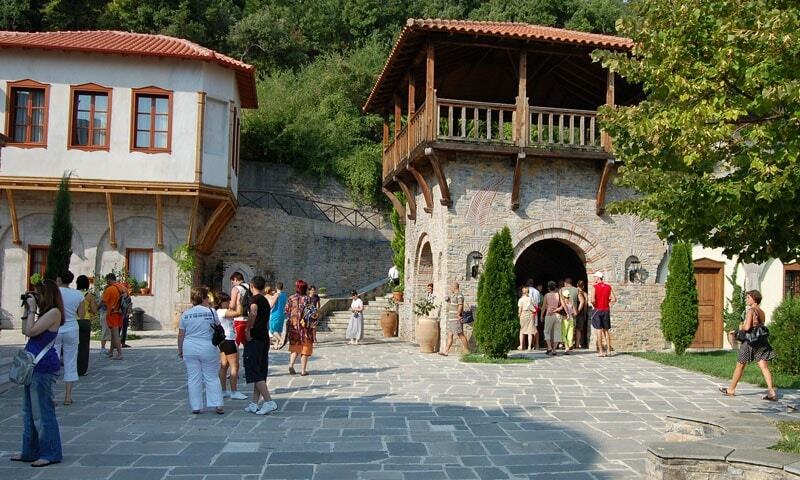 This is Metsovo, home of the best Greek stonemasons located high up in the Pindus mountain range. Tourism didn’t quite make it up here, so the crowds aren’t big. However, the town and its surrounding areas have plenty of attractions, especially for nature lovers and hiking enthusiasts. Aside from being one of the most picturesque places to visit in Greece, Metsovo offers extremely rich cultural itinerary as festivals of some kind are almost a constant thing here. Another representative of the ‘best Greek islands’ list and a place of incredible beauty, Sifnos Island is a hiker’s dream vacation destination. There are over 50 miles of trails that will take you on a tour all across the island. The majestic nature is so astonishing, you can take an award-winning picture at every stop. The towns on the island are very small, but also very cozy and tranquil. There are a few beautiful churches and many great beaches to relax on after you tire of walking. The human ingenuity has no bounds. 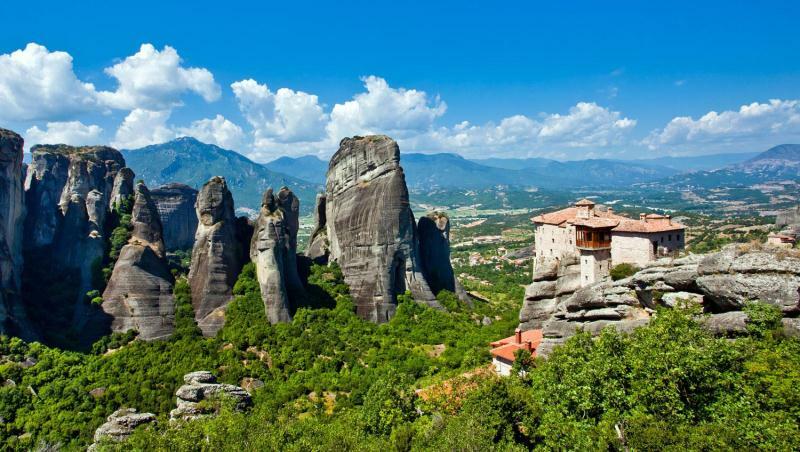 Meteora monasteries is a physical proof of that simple truth. Can you imagine how the Greeks of the 14th century could build these fantastic structures? To learn about one of the most fantastic architectural masterpieces in the history of humanity you’ll need to get about 1,800 feet high into the Pindus Mountains. There you’ll find Meteora, a UNESCO World Heritage Site that is far more than one of the prettiest places in Greece. This complex of monasteries is a monument to the human resilience, talent, ingenuity, and hard work. 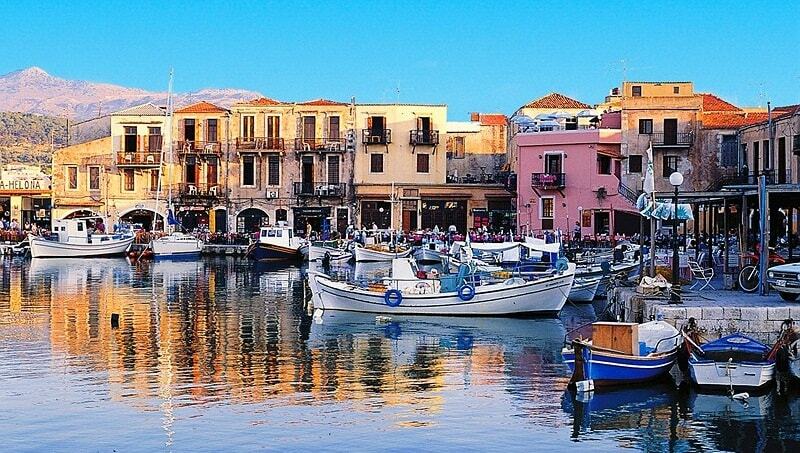 Rethymnon is one of the most beautiful Greek cities, located on the Island of Crete, which is another ‘pretty’ place one definitely should visit. Plan a trip to Rethymnon if you want to see Venice, but without the thousands of tourists and awful smell. This Greek analog of Venice boasts magnificent architecture, eventful history dating back centuries, and some of the best wine Greece has to offer. You can enjoy it at the annual Wine Festival celebrated in the beginning of July. All Greek Islands are beautiful and have amazing beaches. 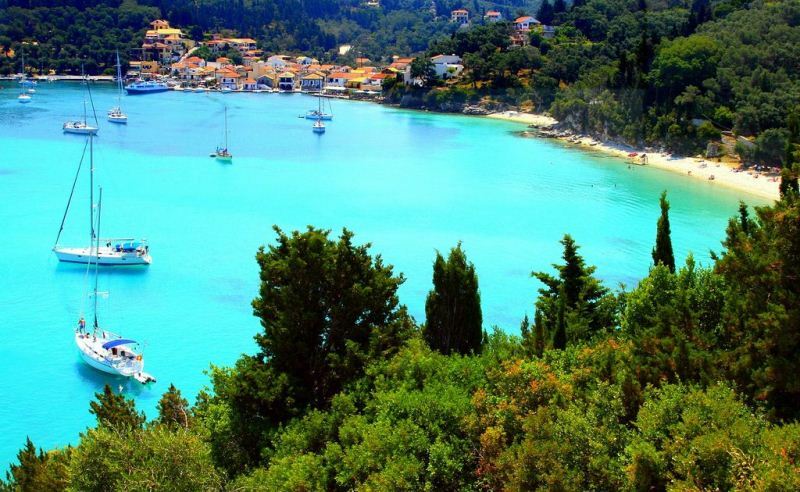 But, well, the following image clearly proves why Paxos is considered the jewel among them and also one of the prettiest places in Greece. The words ‘crystal-clear waters’ will have a new meaning for you after you spend a holiday on this smallest of the Ionic islands. The place is small and not a nightlife hotspot, which makes it perfect for a family vacation. Another of the best places to visit in Greece, which is completely unlike everything most people associate with this country. Veria is a city made of stone and located at the north. This is the place where you can find some of the most beautiful Byzantine churches in Europe. Veria is a city for history lovers as it has many museums and attractions that will take you on a trip through time that will go back over a millennium. In fact, there is archeological proof that the first settlement in the place of modern Veria existed about 1000 B.C. One of the prettiest places in Greece and most interesting fortified cities in Europe, Mystras is a beauty made of stone and clay. Back in the 14th century, the city was prosperous and served as a capital of the Byzantine Despotate of the Morea. 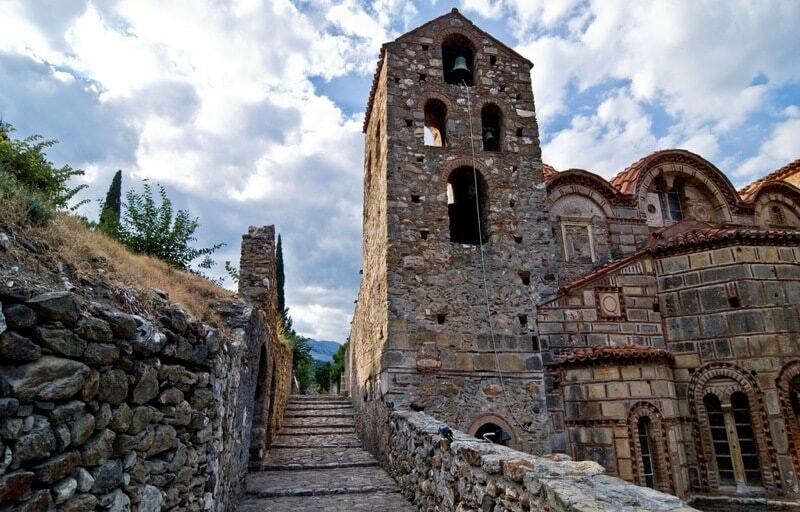 Today Mystras is a UNESCO Heritage Site and a village where you can literally breathe in history. Have you ever been to Greece? If yes, share which places you consider the most beautiful in the comments below! In case you have yet to visit this amazing country, please tell if there are any special attractions you want to see. We’ve visited Corfu Island with kids last year and this vacation was pure heaven! I absolutely love Greece and have explored it for years starting with my first trip after graduating college. So far every place I’ve seen has been amazing and I’d like to thank you for the suggestions. Metsovo sounds fascinating, so we’ll be adding it to our next Greek vacation itinerary! You’re most welcome, Sarah! Wish you and your family have a great trip! I’ve been to the Corfu and Sifnos islands and both are beautiful. I’d also add Delos here as this place is incredible. There are many historic ruins and it’s a great spot to witness history of the ancient Greek civilization while relaxing at the beach. Thank you, Jason! I’ve never been there myself, but I’ll be sure to include it in my future plans. I’m with Jason here, Delos is an amazing place for a history lover. I also like that your list has such different places, not just a list of famous Greek beaches. Thank you for your kind words, Cora!